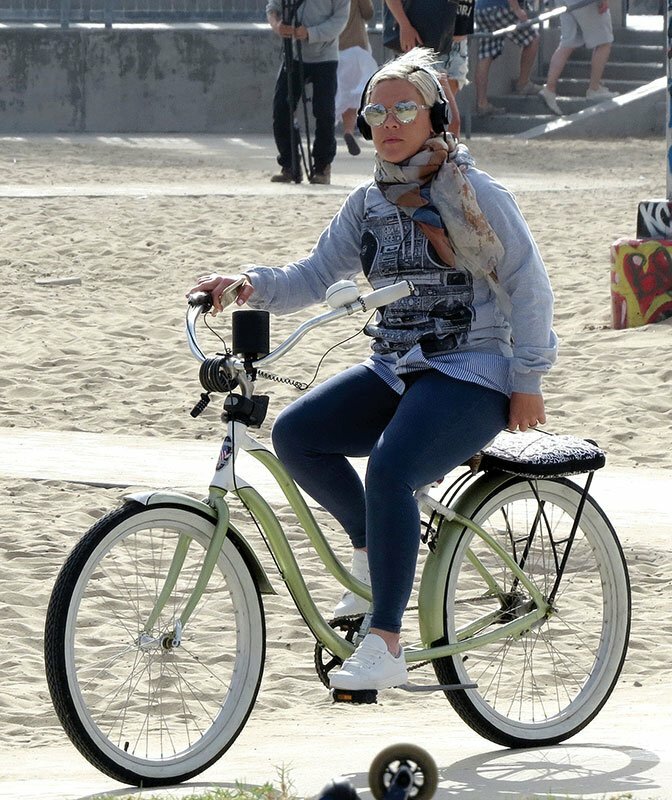 P!nk cycled through Venice Beach with her music pumping from her beach cruiser! 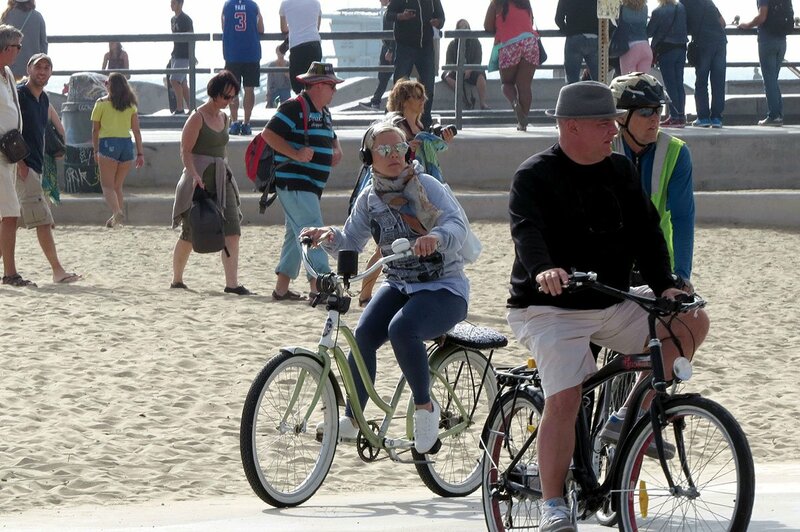 The US singer enjoyed the day on her bike listening to music as she navigated the coastal bike path. 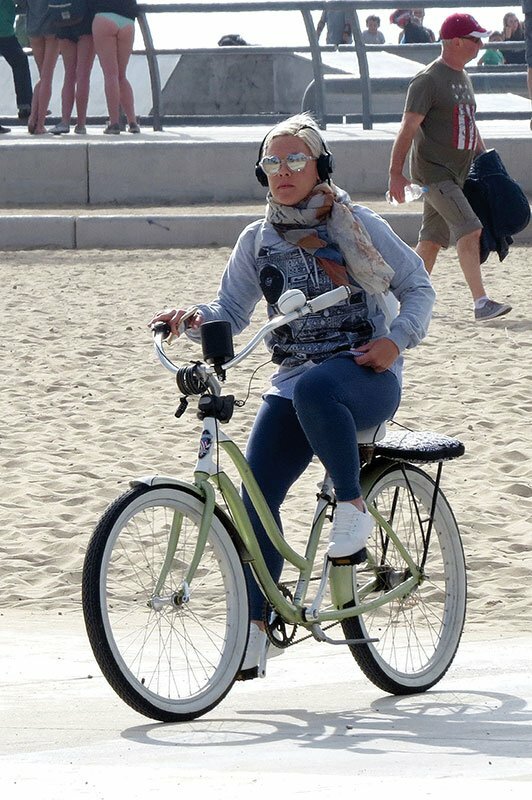 The singer was seen with a laptop strapped to the back of her beach cruiser and even had a speaker attached as she whizzed through Venice Beach! 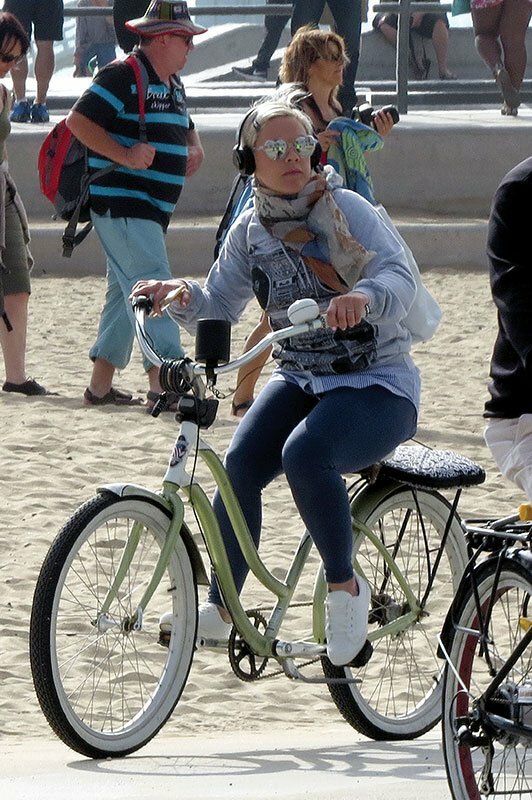 Pink wore some heart-shaped sunglasses and headphones with a ghetto blaster sweatshirt as she enjoyed the sights and even stopped to take some pictures on the trip! 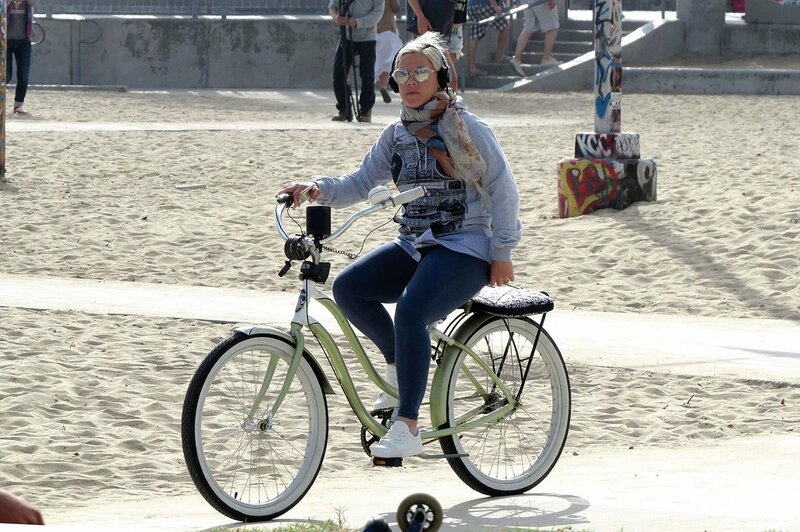 VIDEO: PINK Music Video Filming in Hollywood! 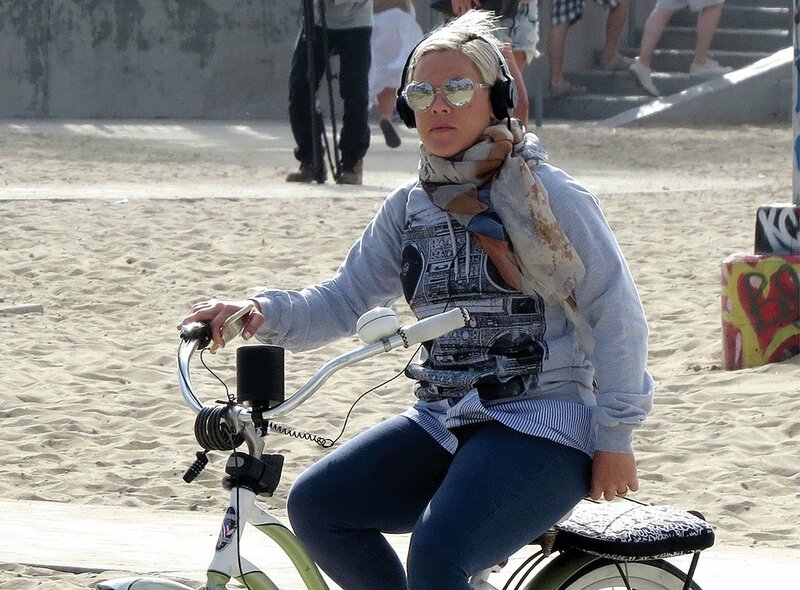 P!nk Trivia: Pink’s full name is Alecia Beth Moore and the singer was born on September 8, 1979, in Doylestown, Pennsylvania.